Looking to head out this winter on an overnight backcountry adventure? 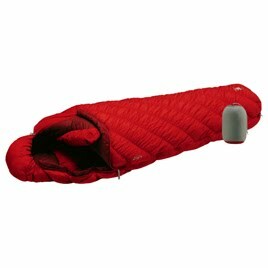 You’ll need a good sleeping bag to keep you warm and cozy through the chilly night. A high-quality ultralight winter bag can shave a pound or more off your winter pack weight and last for years of regular use. Here are my favorites. I’ve highlighted two genres of cold-weather bags: those rated down to zero degrees Fahrenheit and those rated well into the sub-zero range (most are rated to minus-20). If you are looking for a winter-specific bag for any and all conditions, I recommend the sub-zero variety. If you want a bag that you can also use in the cooler—but not frigid—shoulder seasons, consider a zero-degree version and be prepared to layer up for extra warmth for the coldest winter nights. Note that listed weights and prices are for the regular length versions, which fit sleepers up to six feet in height. Add a few ounces and $20 to $40 for long versions (they fit up to 6’6″). 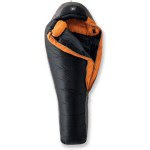 Montbell is unique in cutting many of its sleeping bags “on the bias,” which means that the threads are oriented at a 45-degree angle to the main seam lines. This creates a stretchier design that snugs close to your body while still providing ample room to move around. Made in the USA, with an extra roomy cut across the shoulders. The MF stands for microfiber, a reference to the ultralight fabric used in the outer shell. Also available in an extra-long length that fits Sasquatches up to 7 feet in height. For an extra 6 ounces and $100, you can get the Kodiak with Gore Windstopper, a windproof layer that also better repels water. Marmot bags excel in their hood design, which naturally cocoons your head thanks to its ergonomically cut six-baffle construction. A good choice if you head out in all but the deepest winter freeze. Also available in a short (to 5’6″). For an extra 6 ounces and $100, you can get the Lynx with Gore Windstopper, a windproof layer that better repels water. Same basic design as the zero-degree version of the bag, with 10 ounces more down. 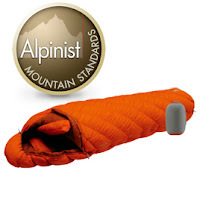 Features Marmot’s MemBrain as the outermost layer, which provides good wind- and water resistance. By far the best value for a lightweight sub-zero bag, in part due to its use of less expensive 700 fill down underneath. Slightly less warm than the other minus-20 bags in this list. Also available in a short (to 5’6″).